Looking "where to sell my 1970 Plymouth Fury GT?" Ask the Chicago Car Club! Are you wondering "where to sell my 1970 Plymouth Fury GT ?" The Chicago Car Club is interested in classic cars of all makes and models, especially a 1970 Plymouth Fury GT. 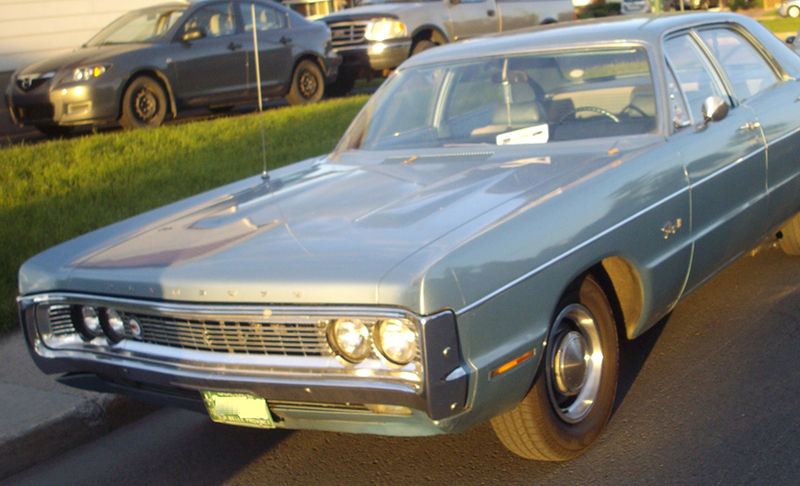 We make the process of selling your 1970 Plymouth Fury GT quick and painless. In just a matter of hours we will have your classic valued and, if you do so choose, turned into money in your pocket. All it takes is a phone call or electronic inquiry to get the ball rolling. The Fury was a set of auto models by Plymouth that were built between 1955 to 1989. It was originally designed as a sub-model of the Belvedere, but quickly became its own model line. It had various body styles over the years, ranging from being a mid-sized car to a full-sized car. Four-door wagon, 4-door sedan, 4-door hardtop, 2-door hardtop, and a 2-door convertible were all available. One particular Fury model that is prized by collectors and MOPAR enthusiasts is the 1970 Fury GT. It came with a 440 cu in (7.2 L) engine, with an optional “6-barrel” carburetion using three 2-barrel carburetors. It had some high end options included with the Brougham package, which included individually-adjustable, reclining split bench seats and luxurious trim. During this era, Plymouth advertised the Fury as part of its “Rapid Transit System.” It offered drivers top performing parts for every aspect of the car along with sponsored events, races and advice from the factory on how to tweak the car for the best performance. Some of the features that made this particular year and model special included an engine with high-performance Carter AVS four-barrel carburetor, high-flow cylinder heads and intake manifold, mated with a high-upshift TorqueFlite automatic transmission. The suspension was rock solid with heavy-duty suspension with 0.98″ diameter torsion bars, heavy-duty shock absorbers, heavy-duty 0.98″ diameter anti-sway bar, and 6-leaf rear springs. All that power could be stopped quickly with 11″ drum brakes. The high-performance dual exhaust system used 2 1/2″ exhaust pipes, twin mufflers, and 2 1/4″ tail pipes. All these extra upgrades were helpful because the big 440 cu in engine was powered by three Holley two-barrel carburetors and it was rated at a massive 390 horsepower. Its 0-60 speed was 7 seconds, which made it very fun to drive.